In the evening I saw the American film What Price Glory?, the best war film I have so far seen and the only one that has had the courage to show war as it really is, in the round and from all sides, without concealment. 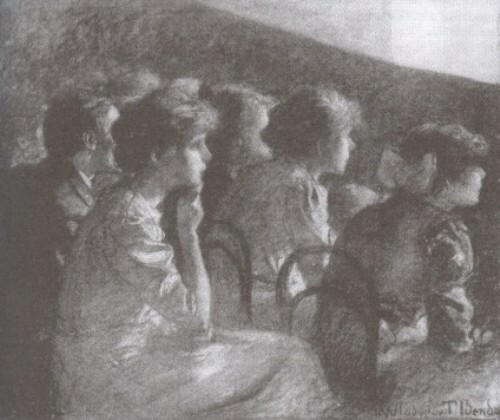 During various scenes the audience broke into stormy applause. Comment: Count Harry Kessler (1868-1937) was an Anglo-German aristocrat and diplomat. His diaries are an exceptionally vivid and observant account of art and politics in Weimar Germany. What Price Glory? (USA 1926 d. Raoul Walsh) stars Edmund Lowe and Victor McLaglen and tells of the rivalry between two US marines serving in France during the First World War. This entry was posted in 1920s, Diaries, Germany and tagged American films, Audiences, Harry Kessler, War films, What Price Glory? (1926). Bookmark the permalink.